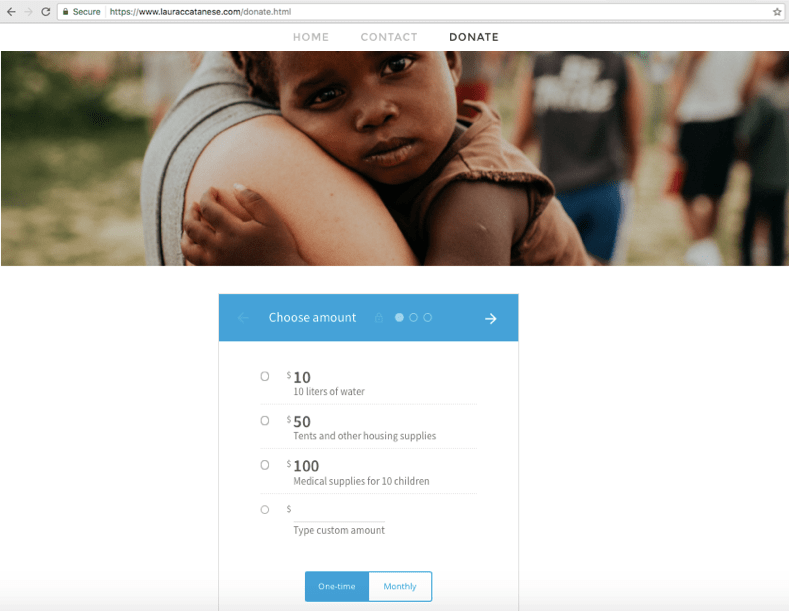 Here is a quick guide on how to embed Donorbox donation forms into your Wix website. We’ll also walk you through turning on SSL security, to keep your donors and their information safe throughout the donation process. Go to your Donorbox dashboard and find the campaign you wish to embed on your site. Click the “Embed Form” link next to it. You can edit some of the default settings in your form here, like setting a default donation amount or recurring option. As you change the settings, you will see the code automatically adjust itself. When you’re happy with the settings, highlight and copy the embed code for your form. This code will be pasted in your Wix site later on. 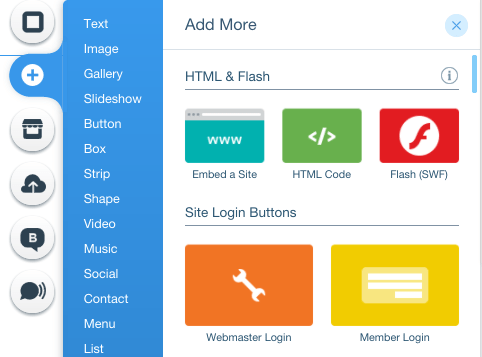 Go to your Wix site editor. Locate or create the page that you want to embed your donation form on. On the page editor, click the “Add” button on the left sidebar. Scroll down to “More”. Then, click the green “HTML Code” button. Click “Enter Code”. Then, paste the Donorbox form embed code under “Add your code here”. This is the code that you copied earlier from your Donorbox dashboard. 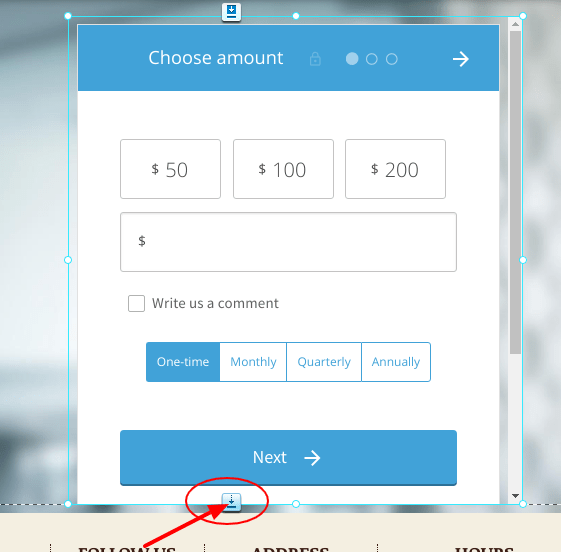 When the donation form appears, expand the code box to ensure that the entire form is visible. Publish your page and wait for the donations to come in! You also have the option of installing a donation button, if you prefer. A donation button will only deploy your form when it is clicked. Check out this tutorial for step-by-step instructions. 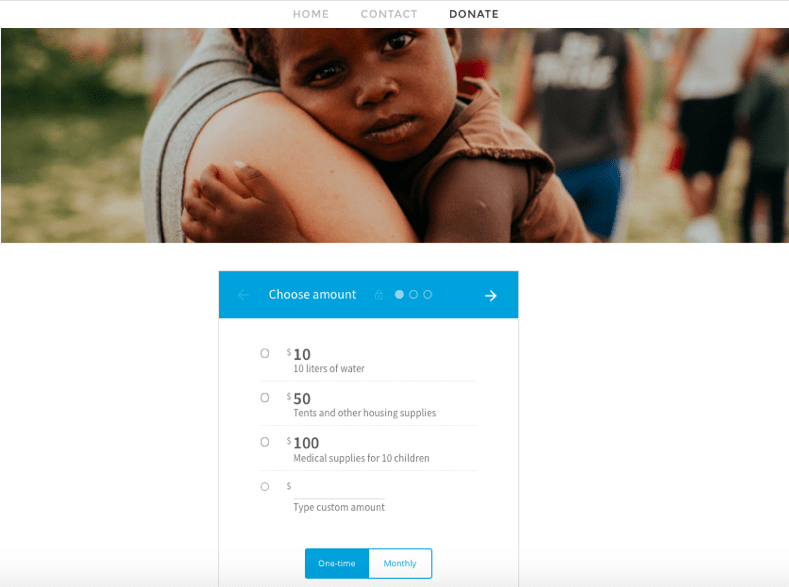 Due to Wix’s iFrame embed policy, Donorbox cannot adjust the actual height or width of the donation widget container on Wix sites. 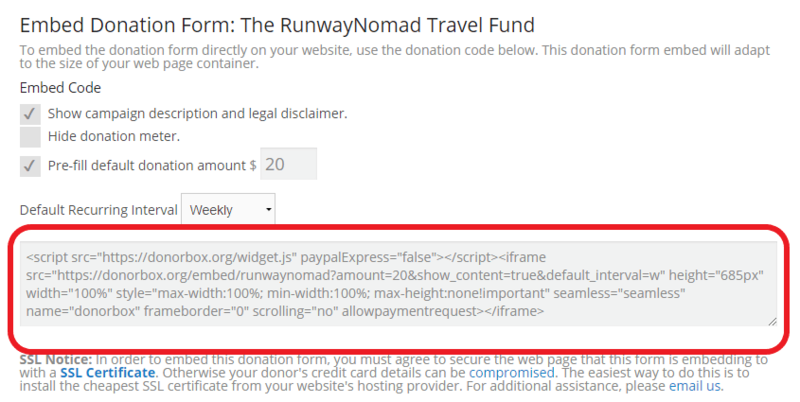 So, if your widget container is smaller than the Donorbox donation form, a scrollbar will be displayed. The scroll bar won’t block the donor from continuing with the donation. But, it can look somewhat unpolished and force the donor to scroll a bit to make their way through your form. To get around this issue, we recommend that you increase the height or width of the widget container, using Wix’s site editor. 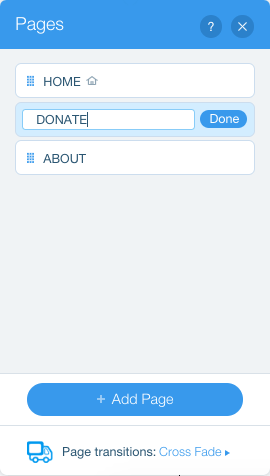 This ensures that the donation form will have enough room to be displayed without the need for a scroll bar. Go to your Wix website editor. Click the “Manage Site” button located on the left-hand side. Scroll down to the “Professional Options” section of the page, and click on “SSL Certificate“. It should be marked as inactive by a gray dash symbol. The page should now tell you that your SSL is turned off. Click the blue “Turn On SSL” button. You should be instantly notified that your website is now SSL-secured. At this point, it’s a good idea to load your website to confirm that it is indeed SSL-secure. The page will load with an https prefix, in front of your web address. A lock icon will also appear on the left-hand side of your URL. If you prefer a video tutorial or are having a hard time embedding your Donorbox form and want a more detailed walk-through, click here. Thanks for the guide! 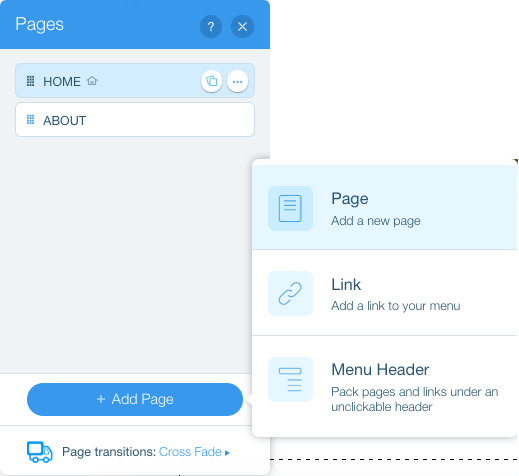 Your Wix donation plugin is awesome!